We are very proud of our Napoleon and Himalayan kittens. We are a small CFA/TICA registered cattery just a little south of Dallas, TX. We specialize in Napoleons and Himalayans. Our cats are housed in their own facility in rooms, not cages, and are loved and cuddled each day. All kittens come with a 1 year health guarantee against fatal genetic defects. 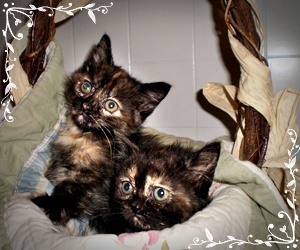 If you are interested in adopting a kitten, email us at windsweptarabs@sbcglobal.net or 972-571-2825.